Rogues Jelly Knight, Scapa Flood, and Lennie the Dip leave prison expecting boss The Duke to have their stash ready to share out. Instead, Duke's girl Sara gives them the news Duke is dead and the money gone on nursing care. They soon discover that Duke is actually running Hope Springs Nature Clinic with the help of most of the local villains. Very strange - and the nearby army camp and Sara's encouragement of Lieutenant Vine would seem to be no coincidence either. 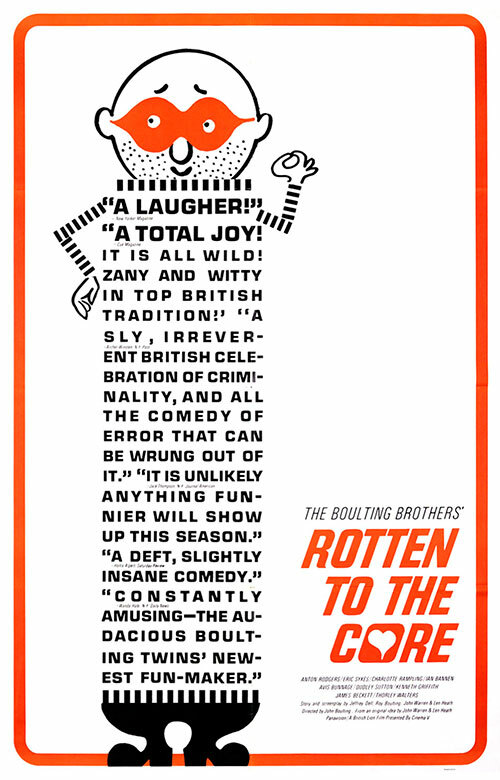 0 Response to "Rotten to the Core (1965) John Boulting"